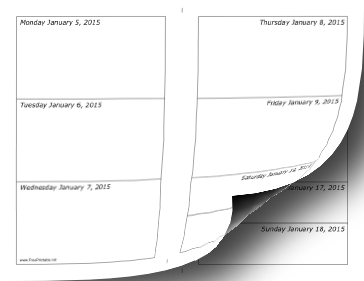 This printable weekly 2015 calendar is oriented horizontally and each page covers one week of the year, complete with text boxes for notes. We have a tall (vertical) version, too. Free to download and print.